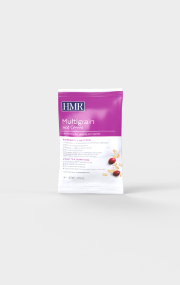 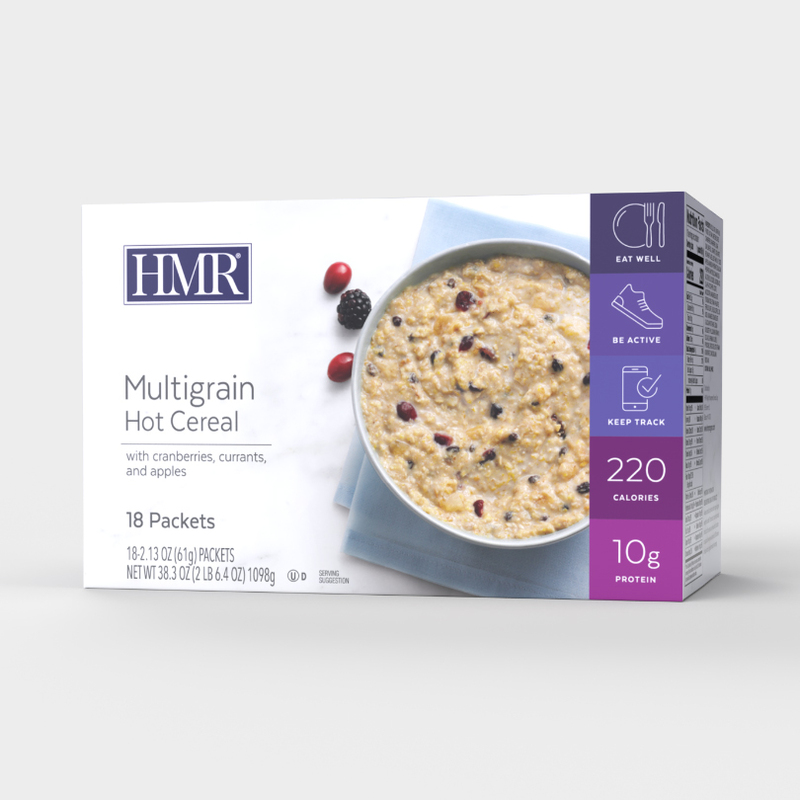 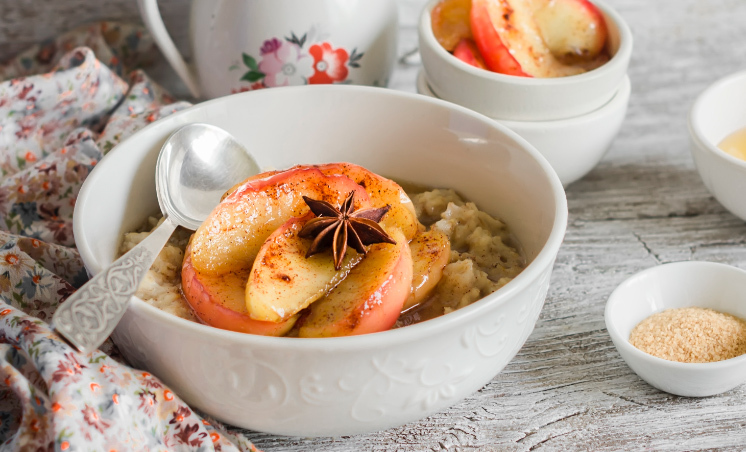 With a hearty blend of oats, wheat, and corn, plus tangy currants, cranberries and apples, HMR’s Multigrain Hot Cereal is a satisfying alternative to ordinary oatmeal. 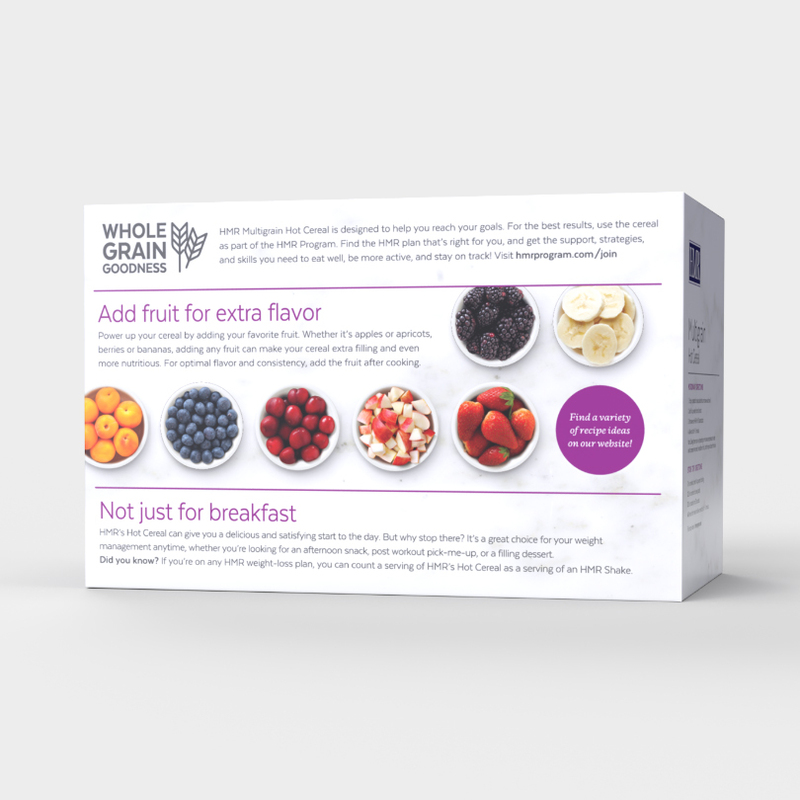 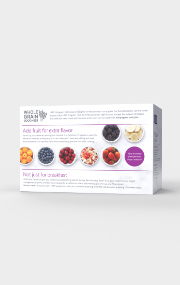 Each packet of cereal provides 1 ½ servings of whole grains and 25% of the adult Daily Value of most vitamins and minerals. 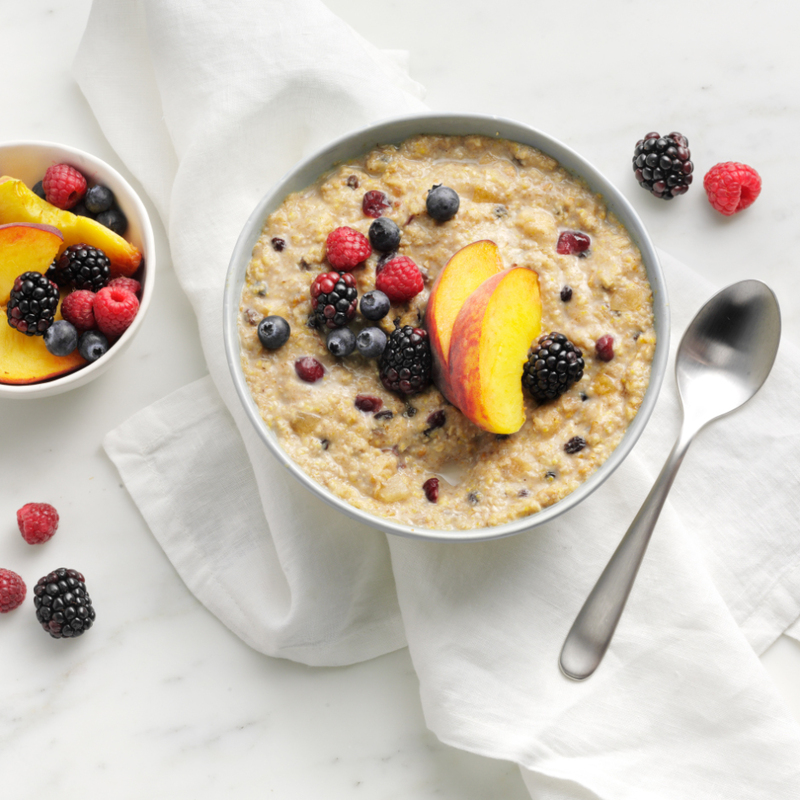 * Add peaches, berries, or apples for an ideal breakfast or snack. 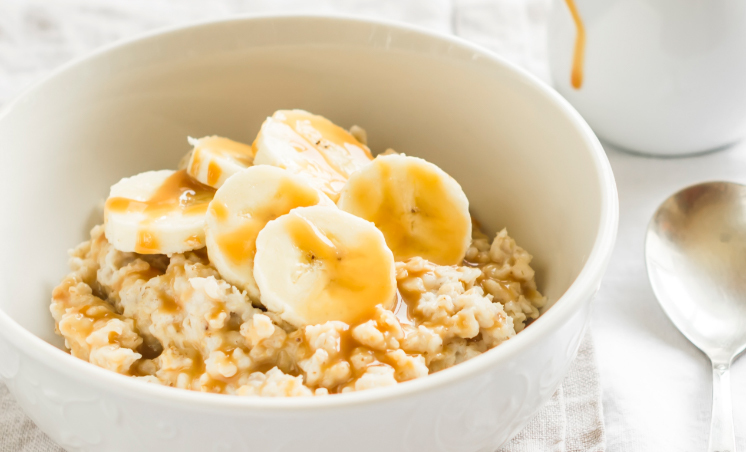 Power up your cereal by adding your favorite fruit. 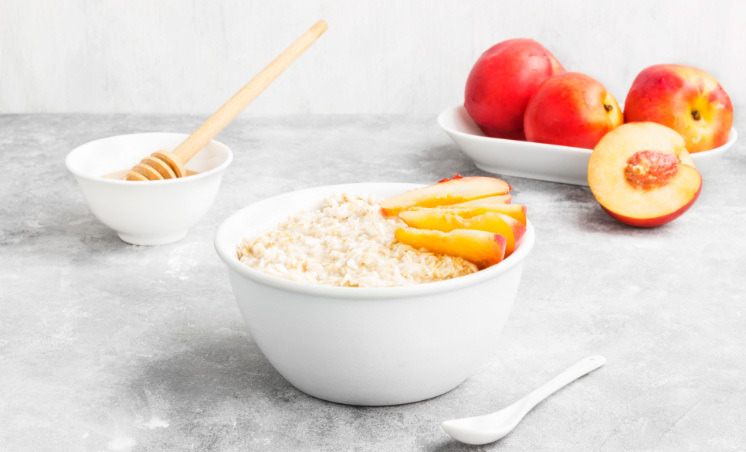 Whether it’s apples or apricots, berries or bananas, adding any fruit can make your cereal extra filling and even more nutritious. 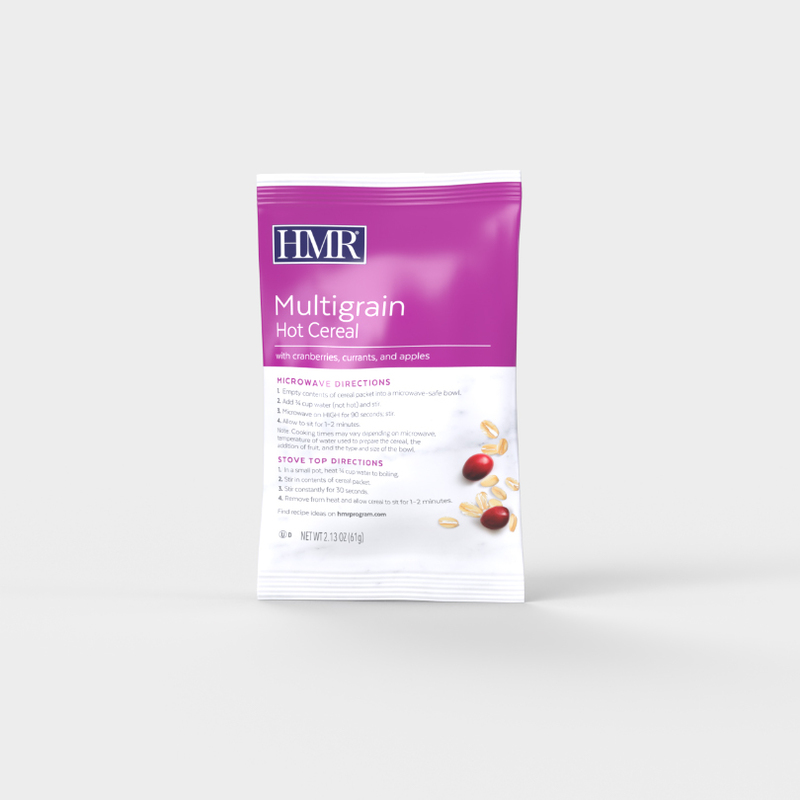 Quick Rolled Oats, Instant Nonfat Milk Powder, Oat Bran, Sweetened Dried Cranberries (Cranberries, Sugar, Sunflower Oil), Currants, Corn Grits, Red Wheat Flakes, Diced Apples, Magnesium Phosphate, Dicalcium Phosphate Anhydrous, Ground Cinnamon, Extra Fine Sea Salt, Vitamin A Palmitate, Cholecalciferol, Dl-Alpha-Tocopheryl Acetate, Ascorbic Acid, Biotin, Folic Acid, Niacinamide, Calcium D-Pantothenate, Thiamin Mononitrate, Cyanocobalamin, Riboflavin, Pyridoxine, Phytonadione, Chromium Chloride, Cupric Oxide, Potassium Iodide, Electrolytic Iron, Manganese Sulfate, Sodium Molybdate, Sodium Selenite, Zinc Oxide, Maltrin M-150, Sucralose. 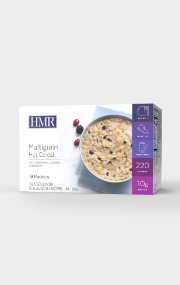 Contains: Milk, Wheat.